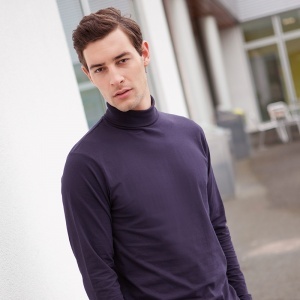 Cotton rich with double thickness rib roll neck. Reinforced shoulders and neck. Twin needle stitching. Hemmed cuffs.